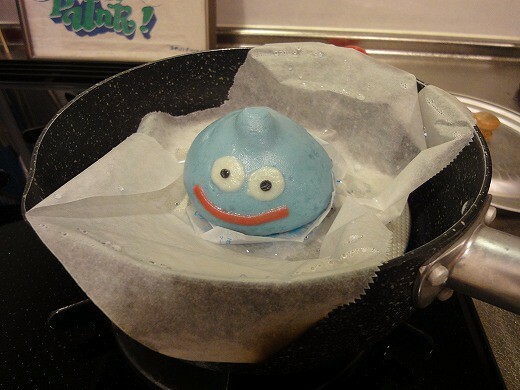 In commemoration of the 25th year anniversary of Doragon Quest, these blue meat buns are made in the image of ‘slime’ from Doragon Quest, and they’ve been sold from November 29th 2011 at Familymart in a limited quantity, a million slimes are sold at only Familymart. 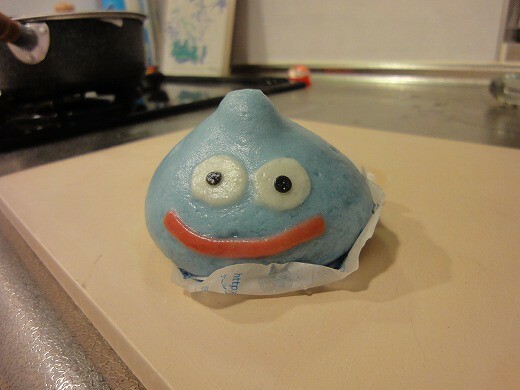 However, the surprising blue color of buns are not colored with an artificial color. 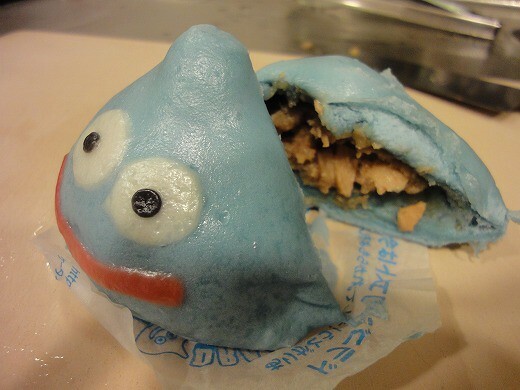 And, pork of the filling is flavored with soy sauce and oyster sauce basically. 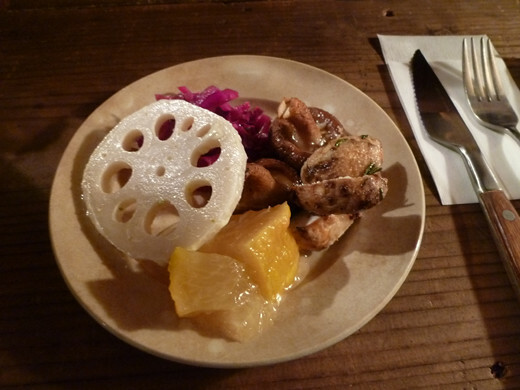 Also, onions and bamboo shoots are contained as the ingredients that make very juicy and crunchiness. 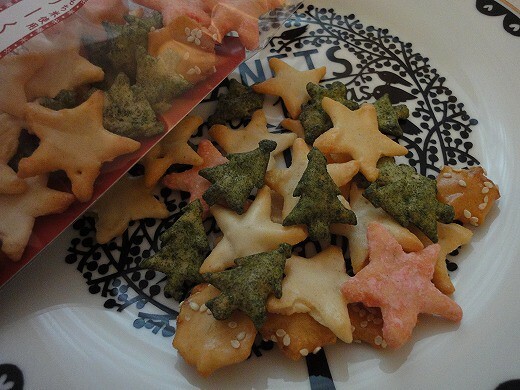 Another is ‘Merry Christmas’ that the rice crackers are flavored with 4 kinds of powdered sugar, sesame, salt and green algae. 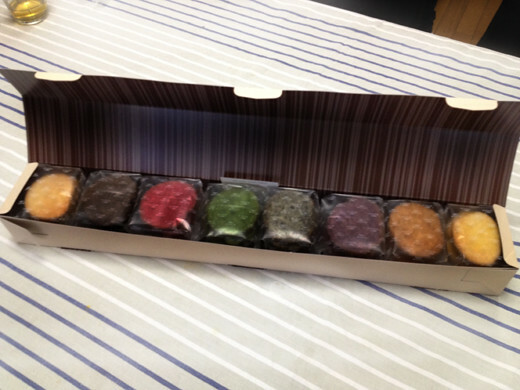 and the tastes are also very good. 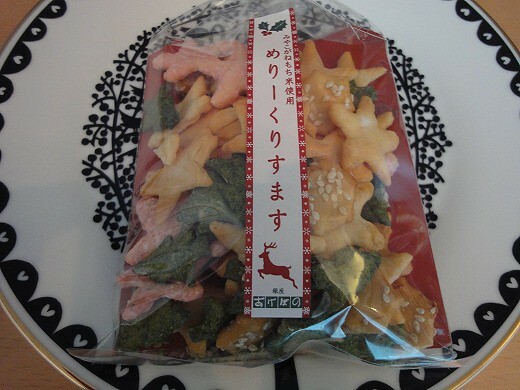 I really love the Akebono rice crackers. 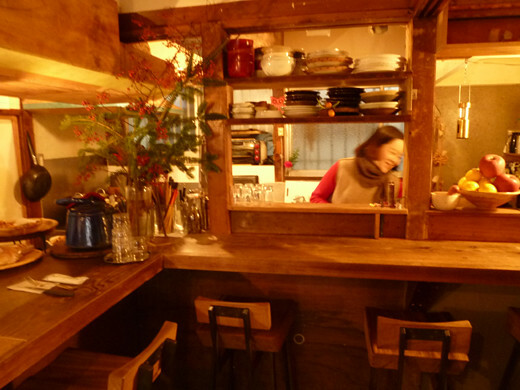 ”Lemon no mi” is a small, counter seating only restaurant with a set menu. 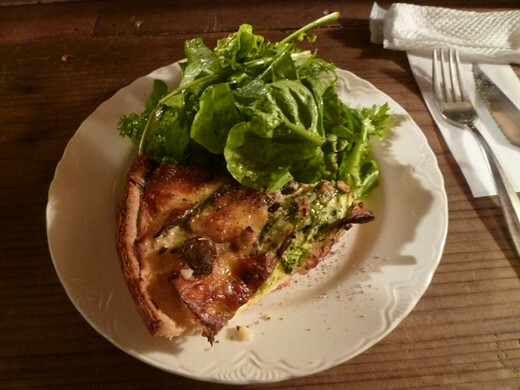 The daily lunch specials and the pastries are delicious. All the food there is good, so anyone you bring along will find something they like. The owner and chef is also talented at making stuffed animals and arranging bouquets, so they sometimes hold events on the second floor. 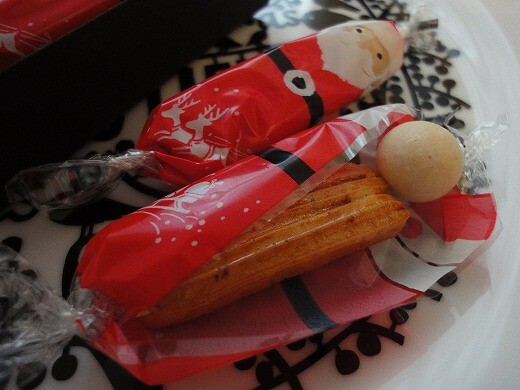 I got 2 kinds of very lovely Christmas rice crackers from Ginza-Akebono. They are sold for a limited time of the Christmas season. 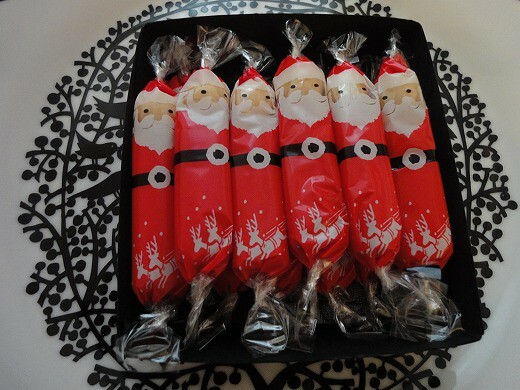 together with a designed Santa wrapper. 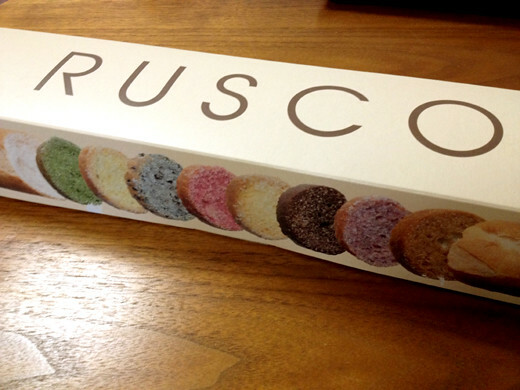 I received a very cute and colorful gift box of assorted rusk cakes made by the specialty rusk shop, “RUSCO”. 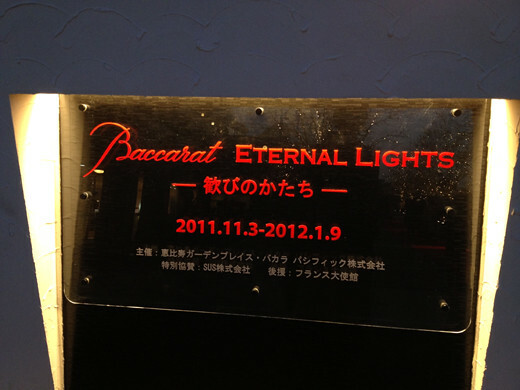 Apparently it was bought for me at Yurakucho Lumine, which just opened in October. 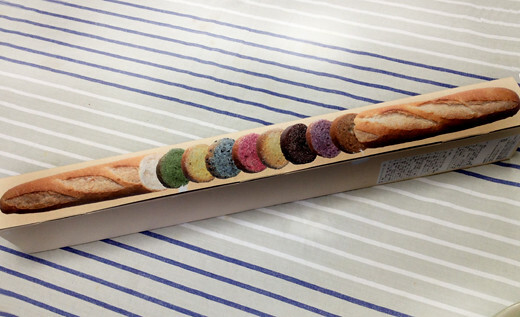 The unique and slender gift box contained eight kinds of rusk cake. They were crispy and delicious! 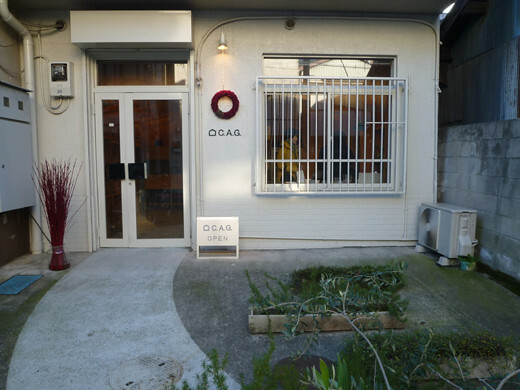 C.A.G. 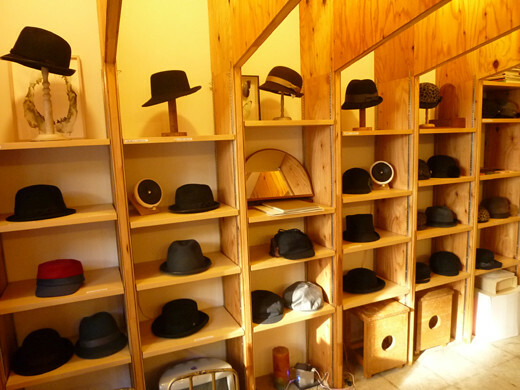 is a hat shop where your friend Gris (a nickname) both designs and hand-manufactures hats. 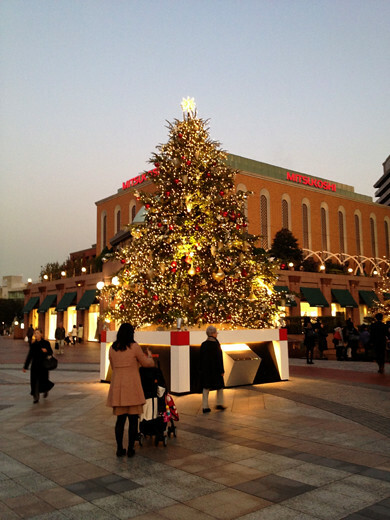 Her hats are sold at fine retailers such as Shinjuku ISETAN MEN’S and even Barneys New York GINZA. Since she originally worked for an advertising agency, she is sensitive to the latest trends and movements around the world. 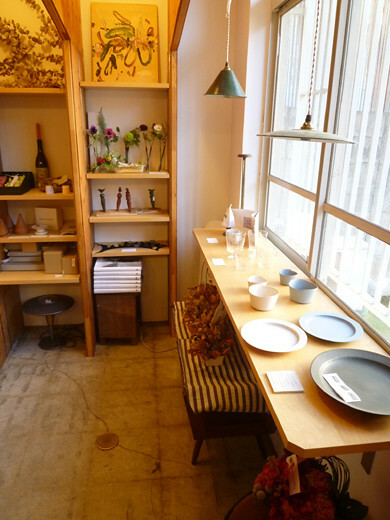 She is very stylish, and it is fun to go chat with her in her shop. 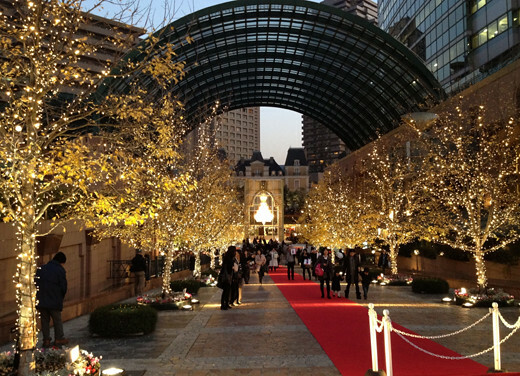 The other day, I went to YEBISU GARDEN PLACE with a friend. All the trees were lit up, creating truly magical scenery. 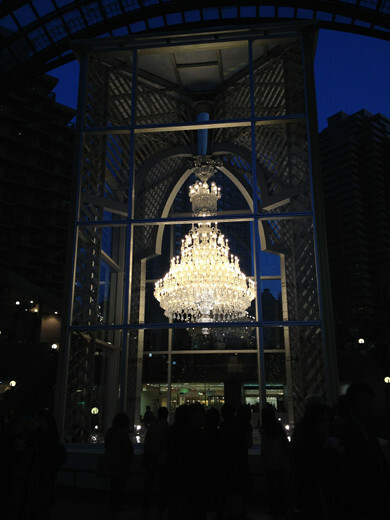 A huge Baccarat chandelier was displayed in the center of the square. 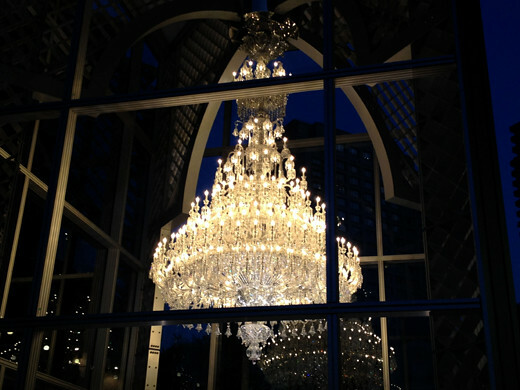 The chandelier was amazing, giving the impression that it was floating in the air. 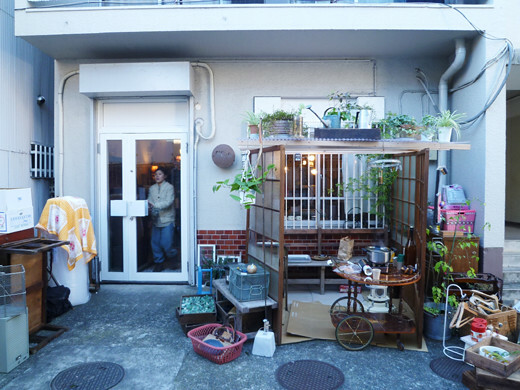 The YANAKA,NEZU,SENDAGI area of Tokyo’s entertainment district is called YANESEN. 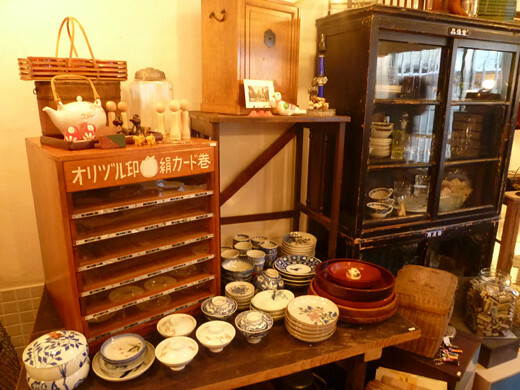 It’s an interesting area with a mix of good, old Japanese atmosphere and and the youthful energy of newly opening shops. 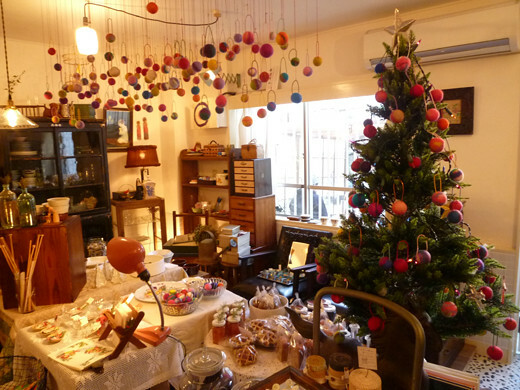 Though Antiques　Negla in SENDAGI deals in Antique Furniture and zakka from around 1910 through 1970, from time to time young artists will get together to hold events. 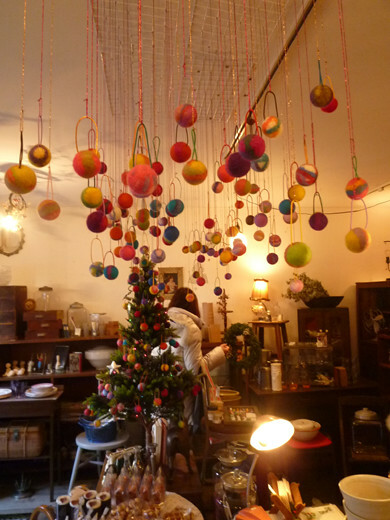 On this day, there was a sale for felt ball tree ornaments, accessories, sweets and jam. 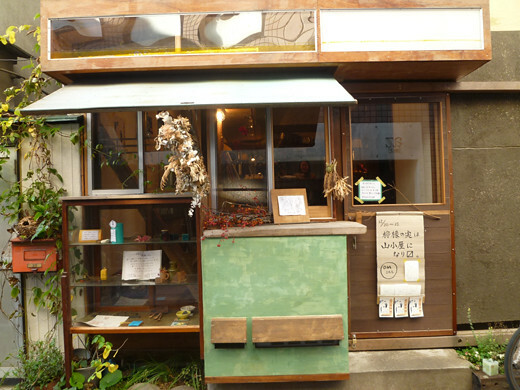 Then they treated everyone to hot apple cider in an outdoor shelter, and in the evening there was a poetry reading; it was just like a BUNKASAI（school festival）.